Find the 1 common word from 4 pictures! Do you enjoy puzzle games and word searches? If your answer was YES! Then Word Class is the word game for you. 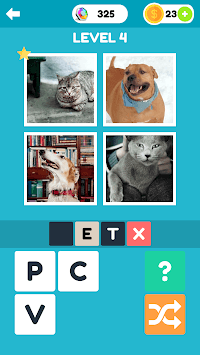 Your objective is to identify the common word between the images and complete the level. Find the word, revealing as few pictures as possible for maximum rewards! A challenging word puzzle for all ages! 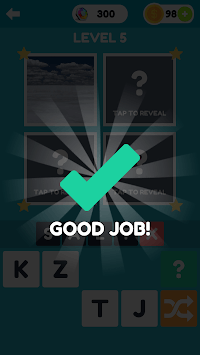 ★ Over 300 word puzzle levels to complete! ★ Play without a time limit, take your time to relax and enjoy Word Class. 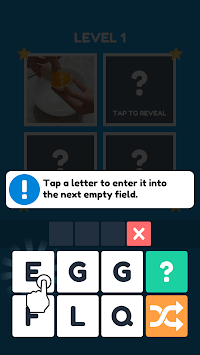 ★ Simple word game play, reveal clues and enter the correct word using the letters provided. ★ There are 4 Pics, but only 1 Word. Can you guess what it is?